A scribe had a question for Jesus: “Which commandment is the most important of all?” (Mark 12:28). This man was familiar with the Scriptures for scribes were known as “the men of the letters.” Scribes were closely aligned with the party of the Pharisees in Jesus’ days on earth. They developed codes of conduct related to the Law, they were teachers of these things and the Law, and they were tasked with making judgments regarding the Law and its practice among the people. This was not the first question posed to Jesus on this day. He “answered well” when challenged about the question of Roman taxes by religious leaders. “Was it lawful for Jews to pay Caesar?” He recognized the query as a trap and marvelously toyed with them when He said, “Render to Caesar the things that are Caesar’s, and to God the things that are God’s” (see Mark 12:13-17). This scribe was even more impressed when Jesus stupefied the natural-minded Sadducees and debunked their riddle related to the resurrection; this group belittled the idea as fantasy, as they did the idea of angels and other matters supernatural. “One woman married seven brothers, so whose wife would she be after the resurrection?” the Sadducees had asked. Jesus chided them for ignorance of the Word and the power of God and told them that they were “quite wrong” in their concepts of eternity and the God of the living. “The most important is, ‘Hear, O Israel: The Lord our God, the Lord is one. And you shall love the Lord your God with all your heart and with all your soul and with all your mind and with all your strength.’ The second is this: ‘You shall love your neighbor as yourself.’ There is no other commandment greater than these” (Mark 12:29-30 ESV). The response touched the scribe who described Jesus as right and true. This, perhaps, was a man struggling with his pattern of life and seeking the more excellent way. Maybe he was familiar with Nicodemus and Joseph of Arimathea, other leaders who were drawn to Jesus. The scribe concluded with the Savior that all the Law can be summed up simply: the one true God is to be loved with heart, soul, mind, and strength, and that our neighbors are us, so we should love them as we are loved by God. He saw that the burnt offerings and sacrifices, so central to Jewish religious life and to the “business” of the Temple, were nothing compared to loving God and loving others. “You are not far from the kingdom of God,” Jesus told this scribe. Let’s not miss the power of that statement. 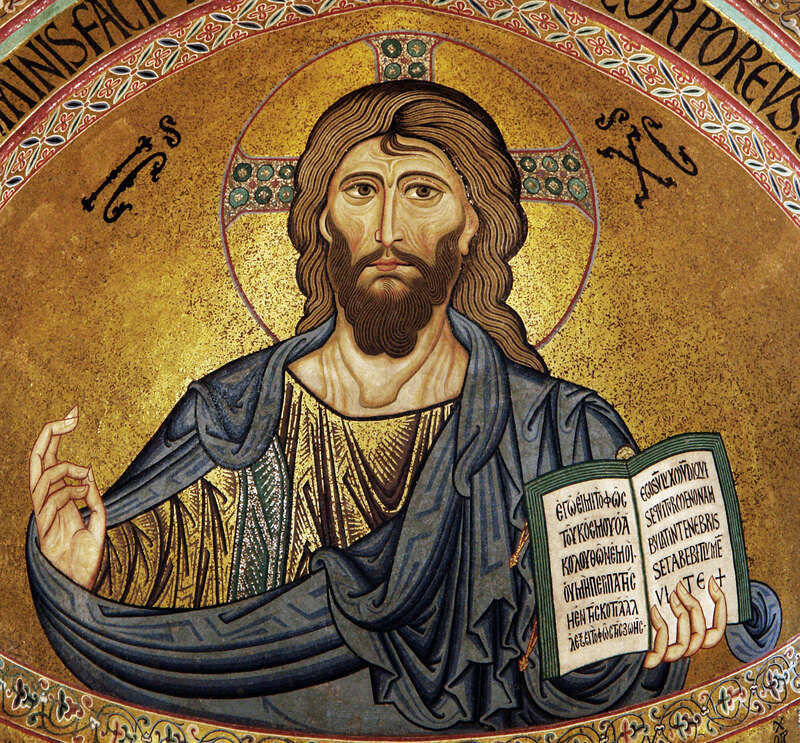 The written Word had done much in the scribe’s heart and now the “Word Made Flesh” – Jesus Himself — stood before him. The gates of salvation were open wide to this one. The story stops there, and we can only imagine what the scribe did after this encounter with Jesus. Did the scribe step across the line? Did the message of Christ come to fill his heart, soul, and mind? Did he go on to walk in the strength and power of God? Notice the first word Jesus used in His answer: “Hear.” He quoted from Deuteronomy, the final book of Moses in the Torah, the Law of Israel. Read through this book and notice how many times God calls His people to “hear.” This scribe no doubt had read Deuteronomy countless times. His ears and his heart opened to the message of God and so he came to Jesus. “Hear” – perhaps we should see this as the original commandment. If we do not heed the initiation of God and purpose to listen, we really don’t get any of the words that follow. Even in the Garden this seems to have been an issue. Eve had heard God talk about the Tree of the Knowledge of Good and Evil, but she wasn’t completely clear on what the Lord had said about it. She debated with the serpent about “touching” the tree as she got closer to it and became enamored with its appearance and bounty. “Hear” – our noisy era makes this ever more important. Issues of this day confound those who will not listen to the certain sound that springs from the Bible. The simplicity of the message of God gets lost in thickets of political, cultural, and religious babble. Let’s get back to the heart of the matter. One scribe asked and Jesus made the issue so clear: Hear God, love God, and love others as you love yourself. What a difference this would make. For more on this subject, check out this message – “Hear, Love, Teach, Remember, Fear” – from Thomas Schaller, pastor of the Greater Grace Church in Baltimore.